Rubber bands piled up at Alliance Rubber Company in Hot Springs. Executives with a Hot Springs-based rubber band manufacturer were in Washington, DC on Tuesday appealing for help against what they say is unfair competition from foreign companies. Leaders of Alliance Rubber Company met with representatives of the International Trade Commission for the meeting which was focused on whether the company has been injured or faces the threat of injury from the foreign competitors. Jason Risner, director of business strategy for Alliance Rubber Company, says imported rubber bands are being sold at unreasonable prices. "They sell cheap and often inferior rubber bands in the U.S. market, and this is referred to as dumping, and so what we’re asking the federal government to do is to levy additional tariffs on certain rubber band imports coming from China and Thailand just to level the playing field," Risner said. Alliance Rubber Company controls about 40 percent of the U.S. rubber band market. It employs 171 people and has been based in Hot Springs for 95 years. Tuesday’s meeting was the second with trade officials since the company decided to take action. "What really brought all of this to light and to the forefront was when we lost a significant customer and they let us know that we had lost their bid to a company in Thailand that had quoted half of our price," Risner said. "There’s no way for us to compete, and actually there’s no way for any manufacturer of rubber bands to produce just the raw materials alone. 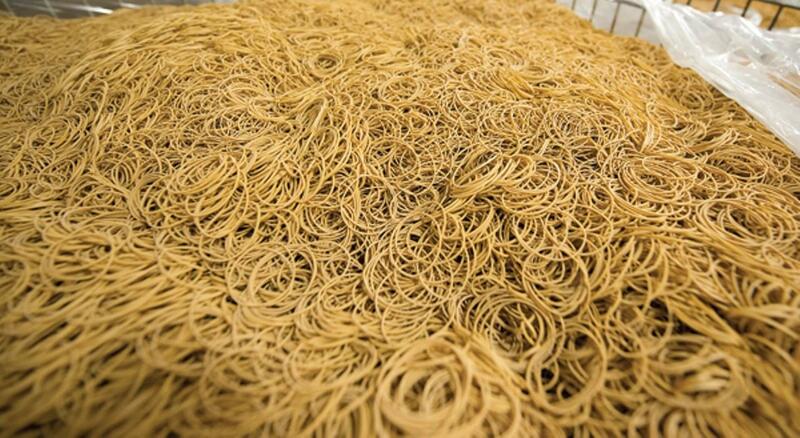 It didn’t make sense for them to be able to produce a pound of rubber bands at that price." Tuesday's meeting was the second meeting between the company and International Trade Commission. No immediate action was taken by trade officials.